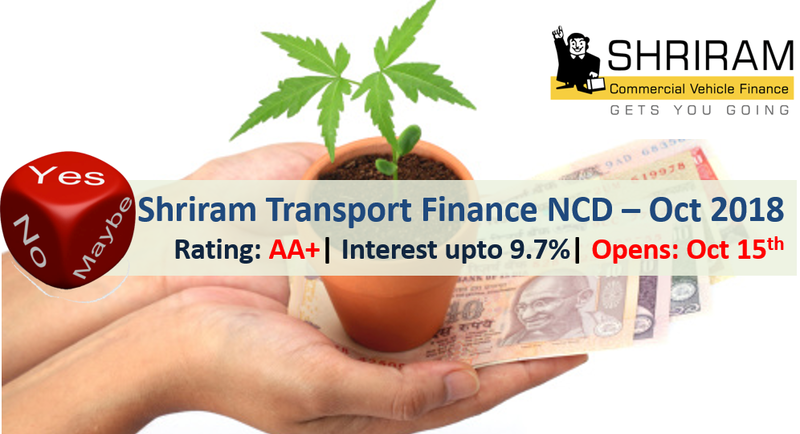 Shriram Transport Finance has come out with latest NCD (non-convertible debentures) offering up to 9.70% interest rate. The issue opens on October 15 and closes on October 29, 2018. Shriram Transport is part of Shriram Capital and is a dominant player in commercial vehicle and pre-owned vehicles finance. 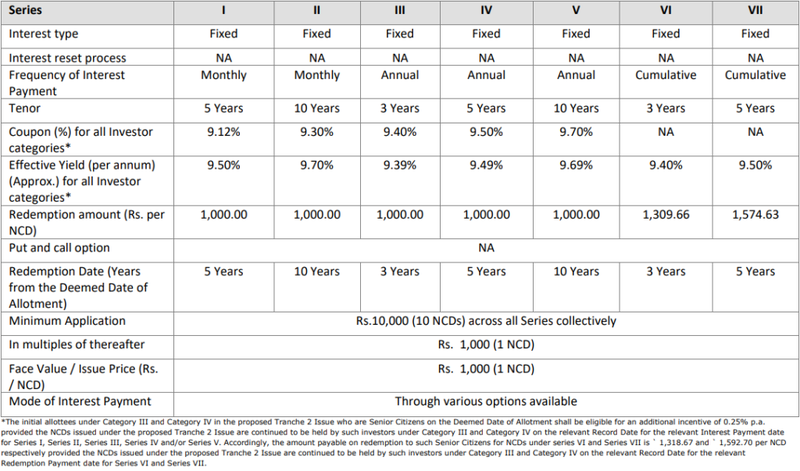 There are 7 options of investment in Shriram Transport Finance NCD. Senior Citizens on the Deemed Date of Allotment shall be eligible for an additional incentive of 0.25% p.a. provided the NCDs issued under the proposed Issue are continued to be held by such investors. Accordingly, the amount payable on redemption to such Senior Citizens for NCDs under series VI and Series VII is Rs 1,318.67 and 1,592.70 per NCD respectively provided its held till maturity. Company shall allocate and allot Series III NCDs wherein the Applicants have not indicated their choice of the relevant NCD Series. The bonds can be purchased in Demat Form only. Shriram Transport Finance NCD – Who can Apply? The banks have started increasing interest rates on fixed deposits and hence it may not be good idea to invest for long term (DO not go for 10 year tenure – you might get better opportunities going forward). In case you don’t want to do it online, you can download the application form from Financial Institutions and submit to collection centers. If you plan to invest in this issue, do it on first day as most NCD issues are over-subscribed within few days of opening. 9.75% Aadhar Housing Finance NCD – September 2018 – Should you Invest?